Enter for the chance to win a prize package valued at more than $150 simply by subscribing to Buffalo-NiagaraGardening.com, the online gardening magazine for Western New York. If you have already subscribed, you are already entered. Hey, I appreciate the support of my longtime readers! Three winners will be selected at random from our list of subscribers. The deadline to enter is Tuesday, April 1, 2014. The prizes have been donated by our three Premium Partners: Lockwood’s Greenhouses, Mischler’s Florist and Greenhouses, and the Buffalo and Erie County Botanical Gardens. 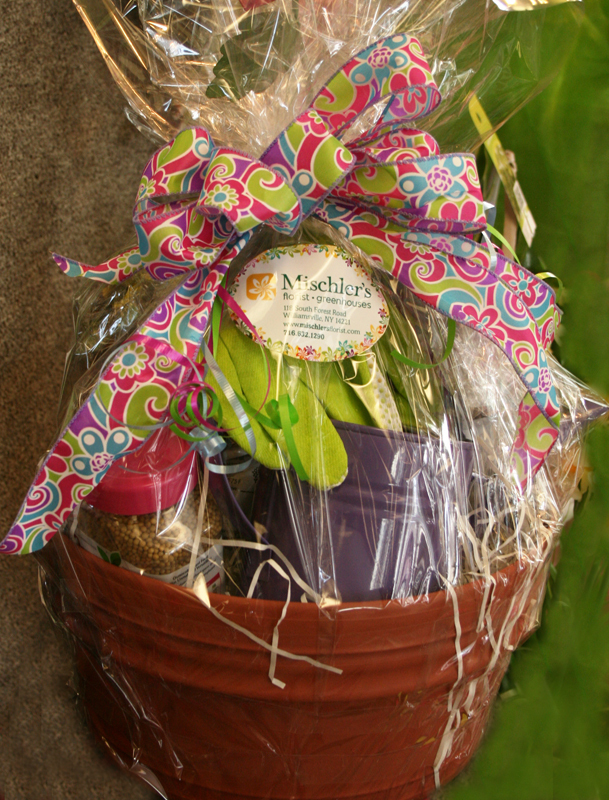 A lovely gift basket for the gardener, plus a $20 gift certificate from Mischler’s Florist and Greenhouses, 118 South Forest Rd., Williamsville. 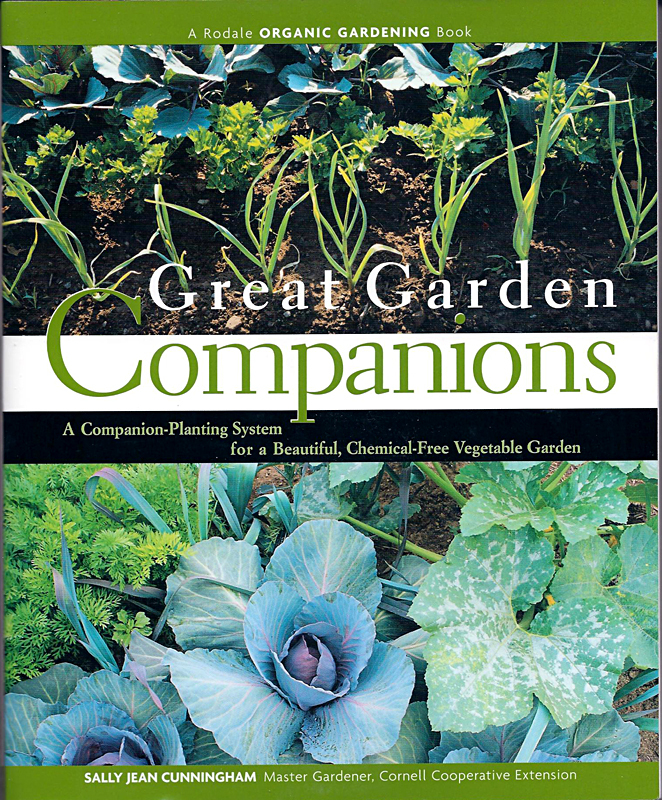 The book Great Garden Companions by local gardening expert Sally Cunningham. Her book will show you how planting special combinations of vegetables, flowers, and herbs can minimize pest and disease problems and create a high-yielding, beautiful garden. You’ll also receive a $30 gift certificate from Lockwood’s Greenhouses, 4484 Clark St., Hamburg. A family membership to the Buffalo and Erie County Botanical Gardens. If you are already a Botanical Gardens member, your membership will be renewed. Yes, each winner will receive all of those prizes: the gift basket, book, gift certificates and membership! Please tell your gardening friends to subscribe today so they’ll be entered in this fabulous contest, too! Share the news on Facebook and Pinterest. 2. The last day to enter is Tuesday, April 1, 2014. 3. The winners will be chosen by random on Wednesday, April 2, 2014 from all subscribers who meet the qualifications. 6. You must respond to the email by Monday, April 7 to let us know that you that you have received the notification and are prepared to pick up your prizes. If we don’t hear from you by midnight April 7, 2014, we will choose another winner. 8. You must pick up your prizes at Mischler’s Florist and Greenhouses, 118 South Forest Rd., Williamsville, NY; Lockwood’s Greenhouses, 4484 Clark St., Hamburg, NY, and the Buffalo and Erie County Botanical Gardens, 2655 South Park Ave., Buffalo, NY. Prizes must be picked up no later than Friday, May 9, 2014. 9. Each winner will receive a gift basket for the gardener plus a $20 gift certificate from Mischler’s Florist and Greenhouses, a copy of the book Great Garden Companions by Sally Cunningham plus a $30 gift certificate from Lockwood’s Greenhouses, and a one-year family membership to the Buffalo and Erie County Botanical Gardens. Each of the three prize packages is worth approximately $165. 12. The contest is open to everyone with the exception of employees of Buffalo-NiagaraGardening.com, Mischler’s Florist and Greenhouses, Lockwood’s Greenhouses and the Buffalo and Erie County Botanical Gardens. 13. This contest is sponsored by Buffalo-NiagaraGardening.com. By participating, all entrants acknowledge and agree that they have entered the contest of their own free will, that the full rules and details of the contest have been made available to them in writing and they therefore understand and agree that Buffalo-NiagaraGardening.com, Mischler’s Florist and Greenhouses, Lockwood’s Greenhouses, the Buffalo and Erie County Botanical Gardens, their agents, affiliates, sponsors, representatives or employees do not have any liability with respect to any damages out of acceptance and use of a prize. By entering this promotion, participants agree to be bound by these rules. 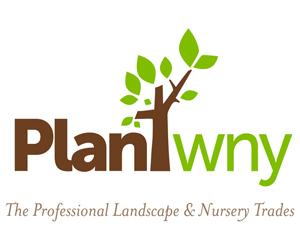 Winter has been bitter, but all that snow should help WNY gardensSpring is coming to Western New York, & Plantasia is bringing it! I would like to subscribe to BuffaloNiagaraGardening.com. Thank you! Eileen, you can subscribe here. We just need your email address and Zip Code. If you have trouble subscribing, send me your Zip code and I will subscribe you. Thanks so much! What a thoughtful thing to do to make us feel more hopeful for the arrival of SPRING!! I am a subscriber, Connie…thank you!! Janice, you’re so sweet! Yes, spring is coming. It’s scheduled for March 20, although the winter weather may ignore the calendar. And thank you so much for subscribing. I appreciate your support! Donna, thanks so much! It might not feel like spring for awhile. In the meantime, you can browse through the photos of past garden walks to remind yourself that summer does come every year! Such a nice thank you, Connie. With all your subscribers now, it will be like winning the lotto LOL. And the odds are much better! Thanks, Connie. I’ve been a regular reader since last summer when I found this site looking for information on the Buffalo Garden Walk. Now I am a subscriber! 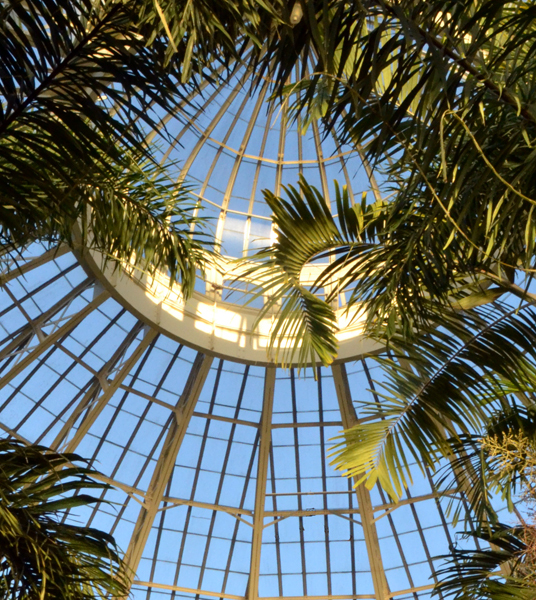 My daughter & I were just at the Botanical Gardens yesterday – needed a break from winter. Thanks for the contest and congrats to the lucky winners. Kim, I’m so glad you found us! Yes, the Botanical Gardens does offer a lovely break from winter. Thanks for your kind words. What a lovely way to greet spring! Cynthia, I saw your comment and I have subscribed you. You’re all set. Robyn, yes, everybody is excited about the contest! Thanks for writing. Going to the Garden, is a tradition I started many years ago. My Daughter’s grandson, who is eight now loves the garden. It’s something we can do together and Springtime is our favorite time.My membership every year is a gift from my other daughter and granddaughter,Christmas shopping made easy. Vivian, going to the Botanical Gardens is a lovely tradition. How wonderful that you can share it with new generations. Pat, we’re glad to have you on board! Don’t forget to explore the website to see past articles. Look for the list of topics. 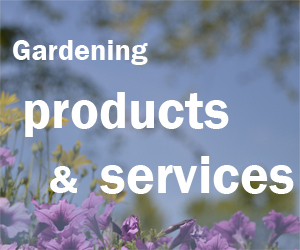 Click on “gardening tips” or “pests & weeds” or whatever subject interests you to see articles we have published previously. Thanks for leading me to a path I’ve been wanting to explore.